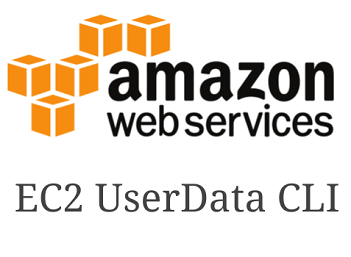 In Amazon AWS, all the activities that you perform to manipulate your EC2 instances from AWS Console web interface can also be performed from command line using aws cli utilities. The command is aws. You can use the ec2 option in the aws command to manipulate your ec2 instances. You can launch any instance from the AWS Marketplace directly from the command line. For this, you should know the AMI id (i.e image id) of the particular image from which you want to create a new instance. In this example, we’ll be launching a new EC2 server from the Amazon Linux image. The image id for this is ami-a4c7edb2. In this example, the image we are using is called “Amazon Linux AMI 2017.03.1 (HVM), SSD Volume Type” with this image id: ami-a4c7edb2. This is the description of this particular image: The Amazon Linux AMI is an EBS-backed, AWS-supported image. The default image includes AWS command line tools, Python, Ruby, Perl, and Java. The repositories include Docker, PHP, MySQL, PostgreSQL, and other packages. –count 1 This indicates that we want to create just one new server with this image. Be very careful with this parameter, you don’t want to by mistake specify a higher number here, as it will create those many number of servers, which will be charged to your account. –instance-type t2.micro – Specify the instance type here. –key-name mynewkey – Use the key pair that you’ve already created and have it on your AWS account. –subnet-id subnet-5630306b – This is the network VPC where I want to create the new EC2 server. A client error (VPCResourceNotSpecified) occurred when calling the RunInstances operation: The specified instance type can only be used in a VPC. A subnet ID or network interface ID is required to carry out the request. If you specify a parameter that cannot be used in the combination you are using, you’ll get the following InvalidParameterCombination error message. A client error (InvalidAMIID.Malformed) occurred when calling the RunInstances operation: Invalid id: "ami-a4c7edbm"
You can use Userdata file during an instance creation to execute your custom commands. This is helpful when you want your newly created instance to be in a certain state with certain packages installed, or with certain custom configuration. --attribute userData --output text --query "UserData.Value"
base64 –decode – The output is in base64. So, we have to pipe the output to base64 and decode the value as show here. The following is the output of the above command. This is the userdata file that was used when this particular instance was launched for the first time.